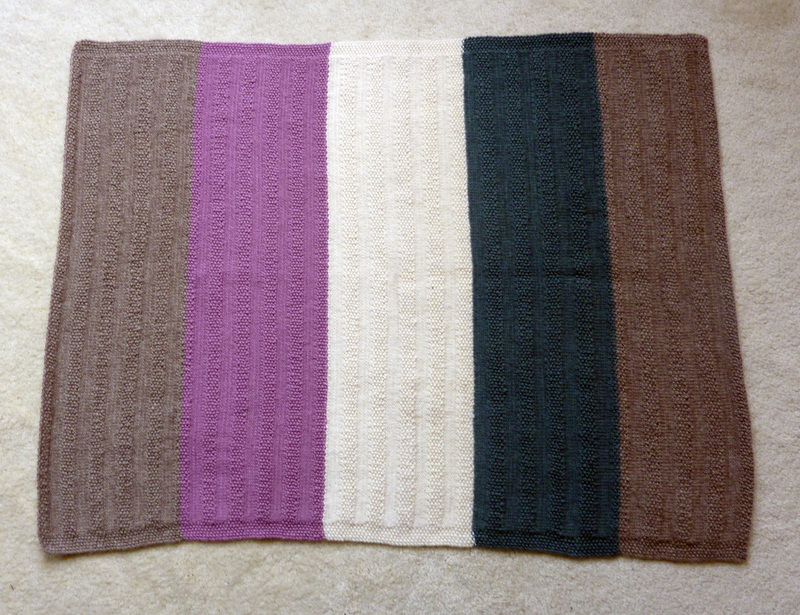 I knitted this blanket for a good friend in Australia. 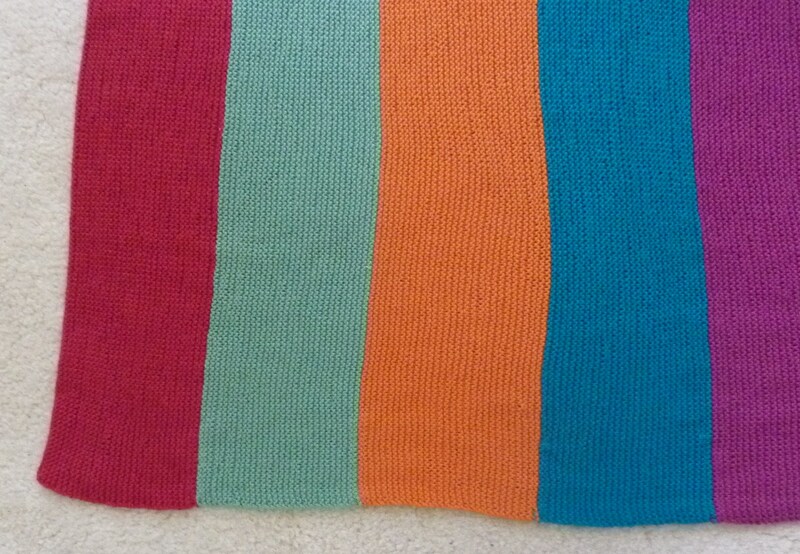 You might remember I knitted her two similar versions a couple of years ago. Both of them have now found good homes, one with her niece and the other awaiting the arrival of another niece or nephew of hers. 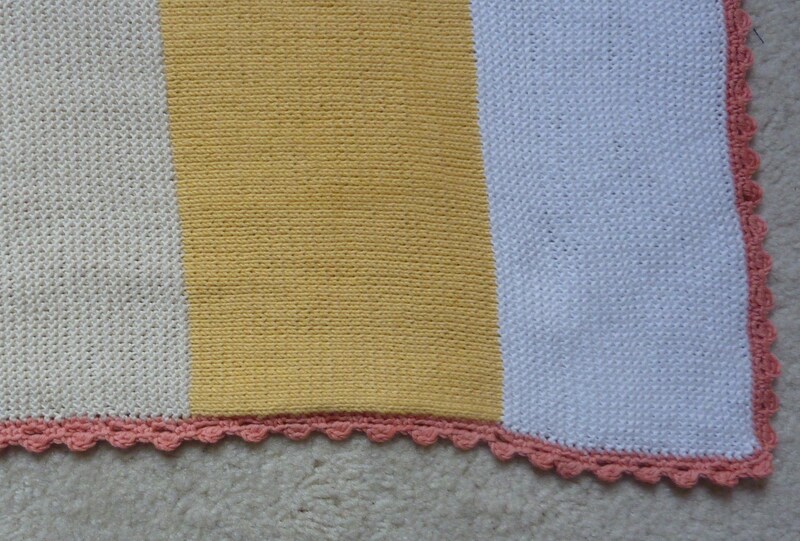 My friend also picked the colours, and even though initially I had thought that it might not be so nice for baby blankets. But I actually think it works really well. 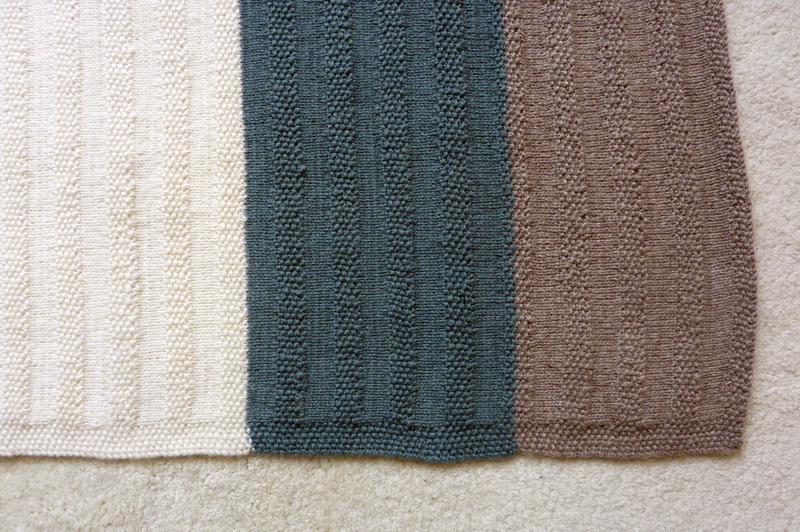 And my friend also wanted me to knit the same pattern I did back then, which I did. 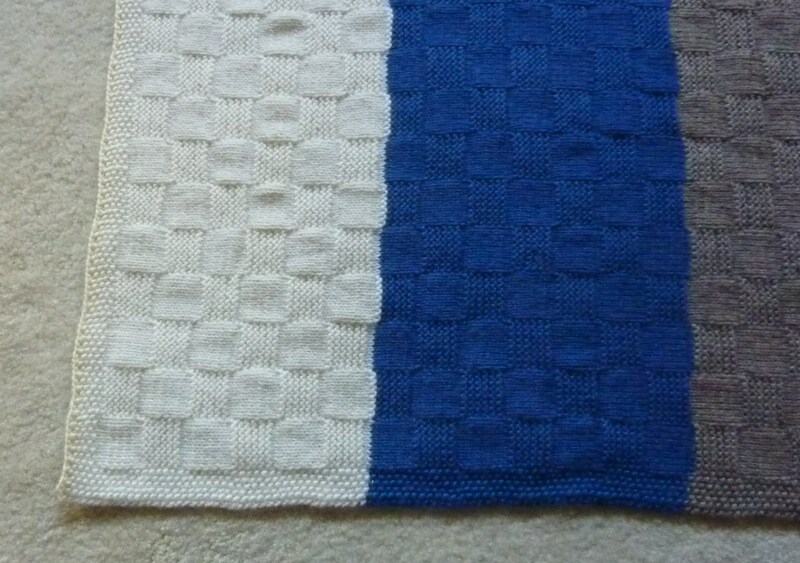 Although I think I might have got the stitch count wrong as this one seems more more a square than a rectangle. It doesn’t matter though, because my friend really loves it. 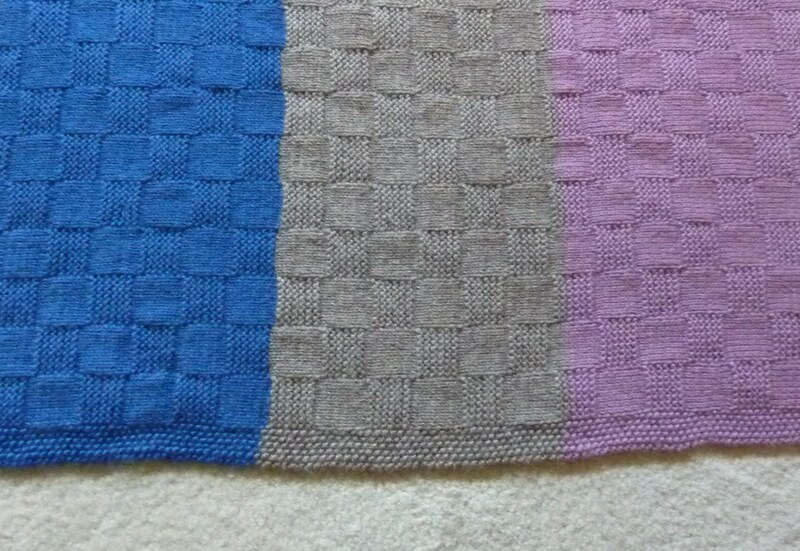 Another FO from my collection from the last couple of years. If I remember correctly I finished this in 2009 (my, my that’s a while ago isn’t it?). I’m just a tad embarrassed that it’s taken me this long to put it up, but it also means that I have a nice collection of pieces to fall back on when I need to! 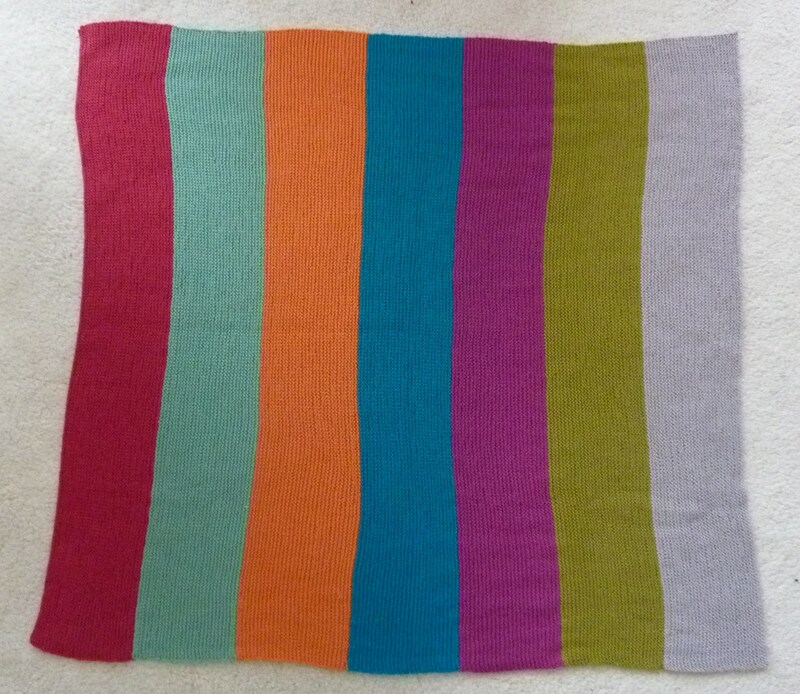 This is a blanket I made for a friend, in fact we’re actually staying with her and her husband in Sydney at the moment. 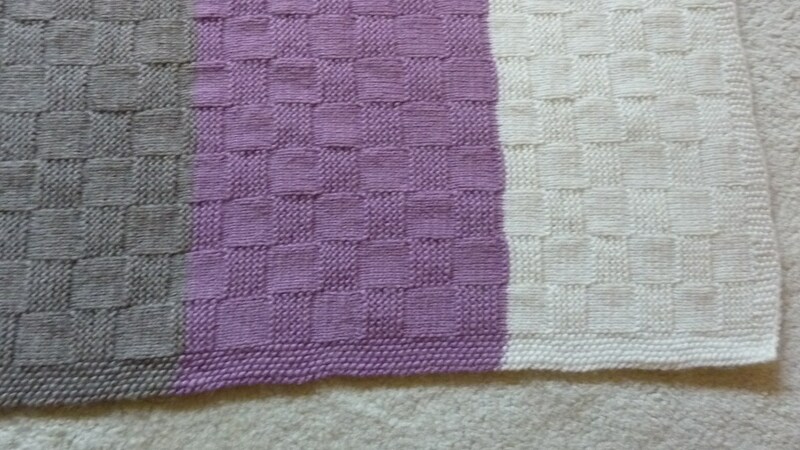 She asked me to make two blankets for her, one for her and one for her brother. They’re not for any particular babies, but rather because she liked them so much when she saw me make them for someone else. 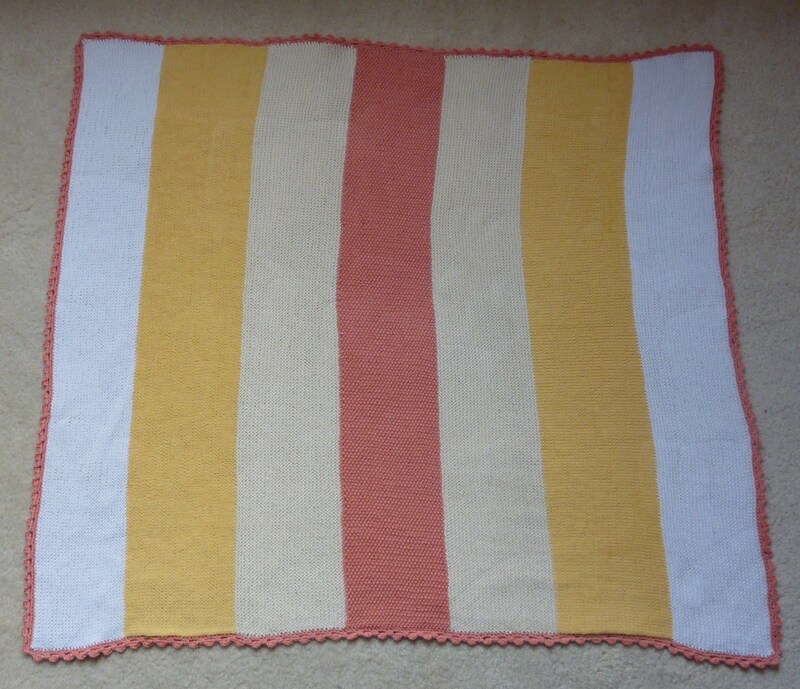 I actually remember the day my friend and I were picking the colours for this blanket. She was quites sure about her choices, but then changed her mind quite a few times, which I thought was rather funny. I do like the choices she’s come up with. 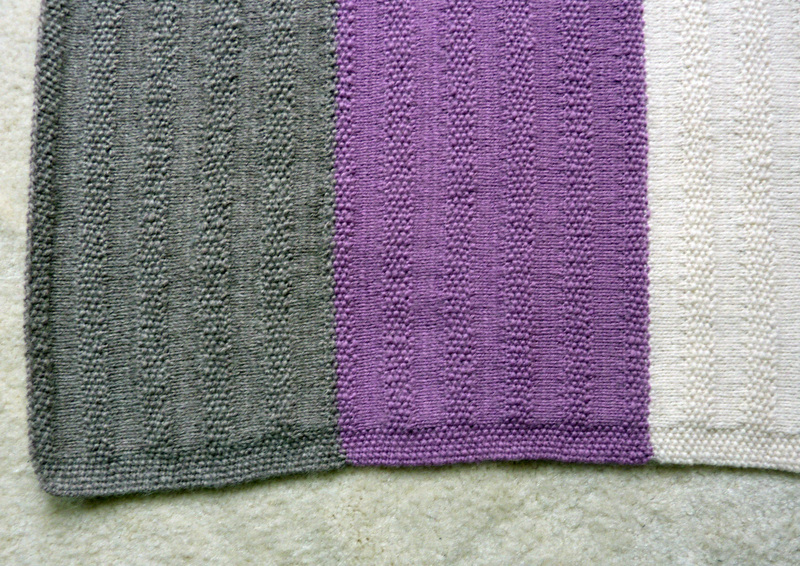 I knitted this with a combination of moss stitch and stockinette stitch and I think it worked out really well! 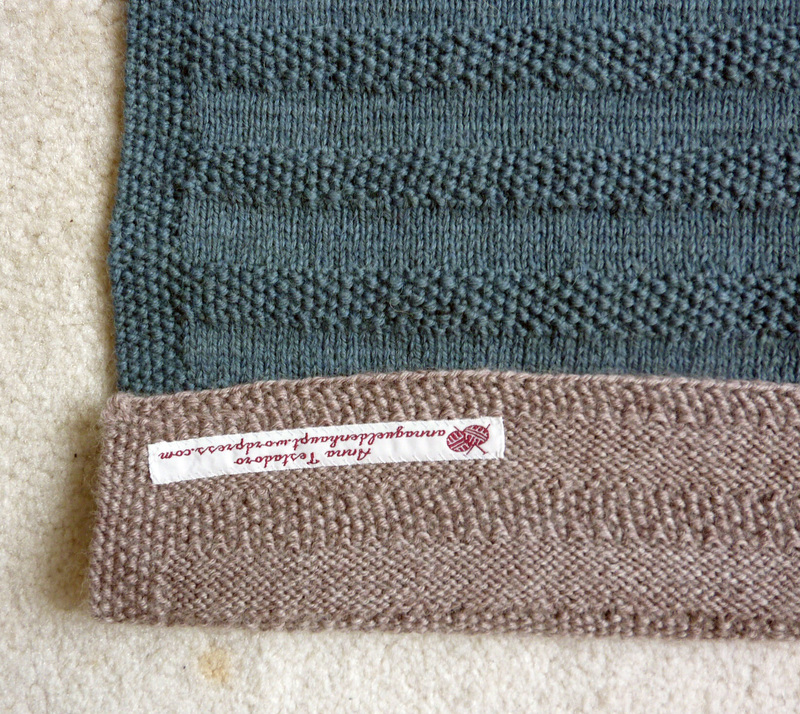 And this was the time I also sewed in my labels, and I do actually think that’s something I need to go back to, but maybe I need to make the label shorter…what do you think? 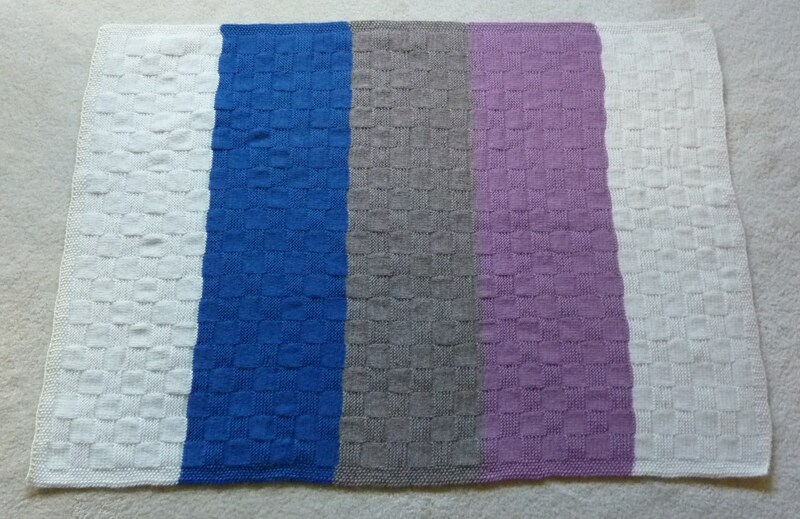 I made this blanket for our impending arrival, and decided to use cotton yarn so that it’s an ideal blanket for spring/summer. 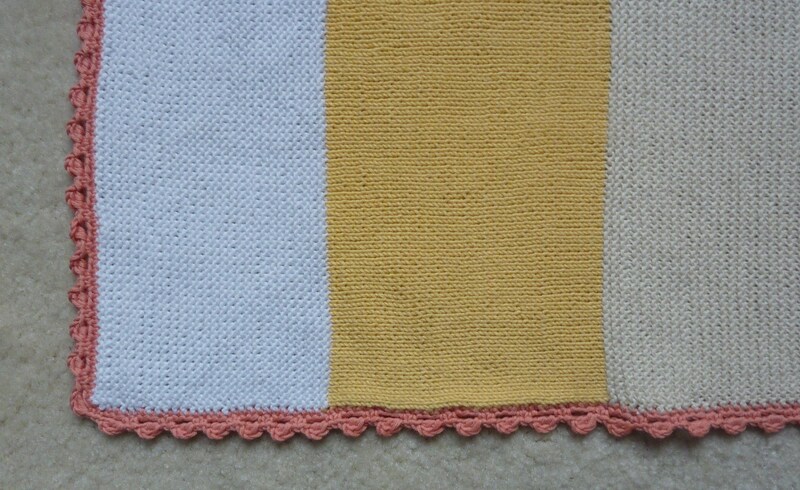 The colour combination works really well and I like the fact that it’s really colourful, it’s good for either a boy or a girl! 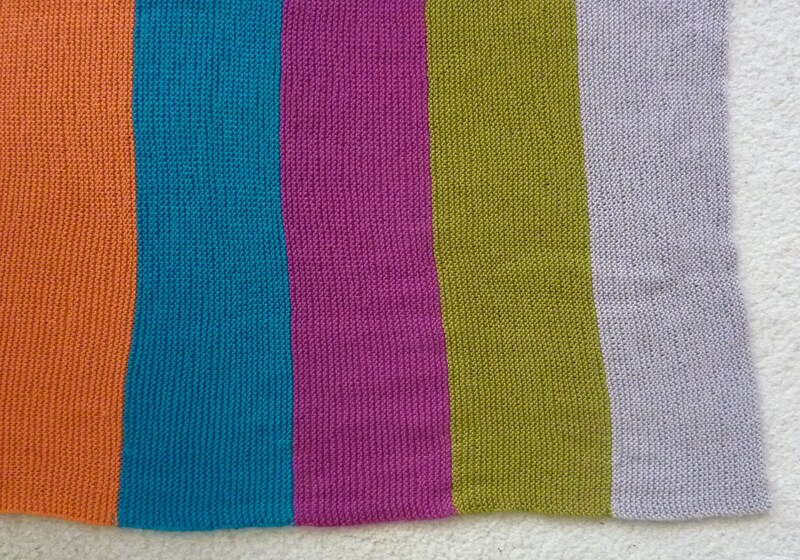 It’s an incredibly easy knit, just 200 stitches and then I used up a ball of yarn of each colour and that’s pretty much it.